Question 1 : How to change the black Navigation background to different color in Baskerville theme? Question 2: How to change Navigation menu font color, font size and font family? Question 3: How to change menu font color while hover in Baskerville theme? Question 5: How to change Social icons color? How to change social icons hover background color? Question 6: How to change Site title’s font color, size and font family in Baskerville theme? How to change Site title’s hover color? Question 10: How to replace “Powered by WordPress” and theme info in footer credit section with my own company info. Answer: Use Disable Comments plugins … this will help to remove comments form and comments not to show in pages, posts etc. In Baskerville theme in mobile shows some different look.. the drop down menus remains open in mobile or small screen. To solve this issue you have to use not only CSS but also Jquery too. Here is the code i am sharing with you. Hi, do I need to have a premium account on WP in order to be able to access the css code area? Hi Om, and thank you so much for your help. I have the personal WP plan and it does not include any CSS customization, I guess I need the Premium version, right? Thanks Om. Would this theme allow me to set up an image as a footer? I know the widget area has 3 columns, can I alter it with CSS? My image is 1200×300. would you mind to clarify me some more? by “Fix” what u mean? 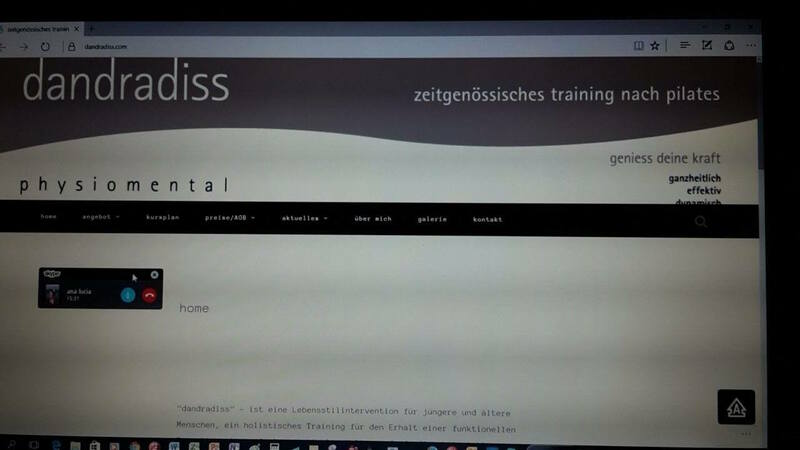 so..u want the header image..dandradiss physiomental ..showing good in mobile version..right? Where you paste my provided code? according to your screenshot….the code didnt end.. i mean the ending bracked “} ” is missing? 🙂 in my end when i checked your site in my laptop (14 inch)..the header image is fine..but if you share me screenshot how it is looking in ur end then i can check..
Hi Om, here is the view my friend sent me…were you using explorer in your laptop? the link you have shared is not full…i mean.. you seems share me the link of ur ipad directory? can u share me screenshot what you paste there? Hi Om, I just wanted to say I love this theme! You are very talented and creative. Thank you for providing this and the CSS instructions to go along with it. Hi – How do you change the height of the navigation bar, as well as the footer bar? Also, how do you change the colors of the arrows that appear for a drop submenu – both the arrow on the main menu, and the large arrow on the submenu? I sent you an email and a facebook message. Thanks! I added this all to my custom css and it doesn’t seem to help. Any suggestions? can you share me screenshot of your custom css portion please? Hi Om, this still does not fix the header thickness issue. Also, quickly, how do I change this for hover? i checked and found the thickness issue solved? have u cleared your browser cache? Also, the header thickness only works on the computer web browser – the search icon is misplaced when it’s reduced to the mobile dimensions. Any thoughts? Hi Om, this works for the cell-phone mobile version, but the intermediary version (ipad?) still has the same problem. Also, the mobile and intermediary version still have a large navigation section – try dragging your browser window to be smaller horizontally and you will see my issue. I’d be okay with removing the search function alltogether, it is not entirely necessary for me. Could you help with that? Yes this works. My site changes at 1000px, I have noticed. would u mind to clarify? Concerning the hover issue, I want the color to change when I hover my cursor over it, like the text does – notice how it tuns slightly to grey. Also, I would like to know how to change the navigation bar thickness for all the mobile versions as well, not just the desktop version. 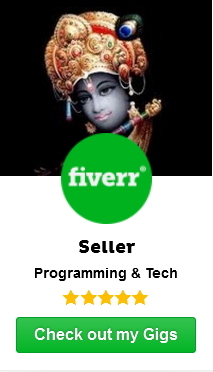 I have sent you payment through fiverr for your help – it is appreciated. can you share me screenshot what you are referring please? My site is edureach101.com. Check it out – a lot of the changes are from your help! Can you tell me how I can move the position of the social icons on the header please? They are a little too high for me. Sorry, I should have said, I just want to be able to move them down a little. Also, is there a way to move the title and tag line as well. Just to reposition them in the header. Super! Thank you. I add this in the “additional css” page? Sorry. I am very new to all of this and it’s been a big learning curve. What does the !important mean? The code to move the social menu icons didn’t quite work the way I expect. It has appears to have made the header height bigger. This moved the menu down and the header image to increase in size rather than just move the social menu icons. yes.. i also noticed that.but i am not seeing any other better option for that..
but.would u mind to implement it so that i can check some more? The other code snippets also appear to have a similar effect. Whilst they do move the items, they also drop the menu down. It’s almost as though the theme has been coded with relative value rather than absolute. I have added the code for the social menu for you to investigate further. I’ve added the extra code. I certainly makes a difference and I have moved the social media icons lower making them clearer to find. However, this code only works on a PC browser and has no effect on tablet or phone. Sorry, I forgot to hit save and publish! It’s live now. can u create new image for mobile version? link 304x300px in dimension? Will do a little later. Where do you want it as the theme takes just the one image and resizes for all formats I thought. may be several images are needed..
My site looks fine on my laptop, but it looks different on my ipad and my phone. On the phone especially, the header image looks cut off. for mobile…can u share me your header image of 304x300px in dimension? would you mind to communicate me in my fiverr profile please? you mean..you want to see how the woocommerce product page will be looking in baskerville theme? have u done any other sorts of modifications in the theme? I have customized it a bit if that’s what you mean? yes…have u done any theme file changes etc? or just did css customization? Do you have some code you could share for Baskerville-2 theme that would allow me to use a different image for each device please? That way I can format my image to correctly fit on each device. I was wondering if you could tell me how to change the color of the tagline as well? Thanks! Here’s one for you. I have added Pinterest to the social menu but it shows as a link symbol of a chain rather than the Pinterest logo. I am guessing the theme is missing the graphics file for the Pinterest logo. Do you know how to fix this? You can see I have added facebook, youtube, email and instagram. All of those have the correct logo associated with them. i just checked and found pinterest icon showing now? Odd. Mine still shows the chain link. Is there a way I can share a screen grab with you? can u communicate me in my fiverr profile please? In the spirit of helping each other, I thought I would share the solution that I found…. make sur you use pinterest.com not pinterest.co.uk! 2. Change the background color of the footer. I’ve looked through your entire post and read all the comments and didn’t see either of these mentioned, so forgive me if I’ve overlooked it! Worked wonderfully. I want the footer to be white so all the text is disappearing when I change the background. What’s the code to change the text color of the footer? And, is there any way to change the color of the the search bar widget that I have down there? 1. Search Bar: It turns the right color when you click on it, but I would like it to be that color all the time. 2. Other buttons like “Older posts”: can I change the text of these. I’d like all caps and possibly change the font to a sans-serif. 3. Footer widgets: How can I make the text of these three all look the same? It looks like the middle one is defaulting to bold and the other two aren’t. Can we make the match? 4. Social icons in the footer: How can I change the hover color of these? 1. Are you talking about the footer search widget? For my first question, yes! I’m talking about the footer search widget! Is it possible to change the color? Also, how can I change the hover color of the Older Post button. It’s the only one that isn’t changing on hover. How can I change the colors in the footer of each blog post? Not on the home page, but on each blog post page! Thanks! Is it possible to make a fixed size of the Blog Archiv Post that they all have the same size in the overview. would you mind to clarify me the question some more? enclosed a screenshot where I specificate the Problem. would u mind to tell in which page u r showing the blog posts? thank you, the problem shouldn´t be fixed because of the responsive design. Wrong thinking! Thank you for your great help!!! one more question to the sides. how can I reduce the space between the menue bar and the first Headline and the space between the first Headline and the beginning of the side text. would u mind to check the following codes? no, with this Code the space is 2px bigger than before. Maybe the text has a bigger padding? I have just started using Baskerville 2 and have access to CSS in my paid version. I have used some of your code above to make modifications. I still have two issues that I will put into two replies. The first relates to projects. There is no Excerpt field in the project posts, and the More button function is visible in the project post but does not work. This means I cannot control the amount of Excerpt displayed in my projects. can u share me screenshot image regarding your first issue? How do we share screenshots through here – doesn’t seem to want them. Can you read these image links? The second is trickier. It relates to the Video format in posts. I have set my entire site up to use either project or post categories as I want all my navigation to be visual. (Most users are limited to smart phones). Where I have a video in a post, and format that post to be video, I would like the video to display and be clickable on the category page. 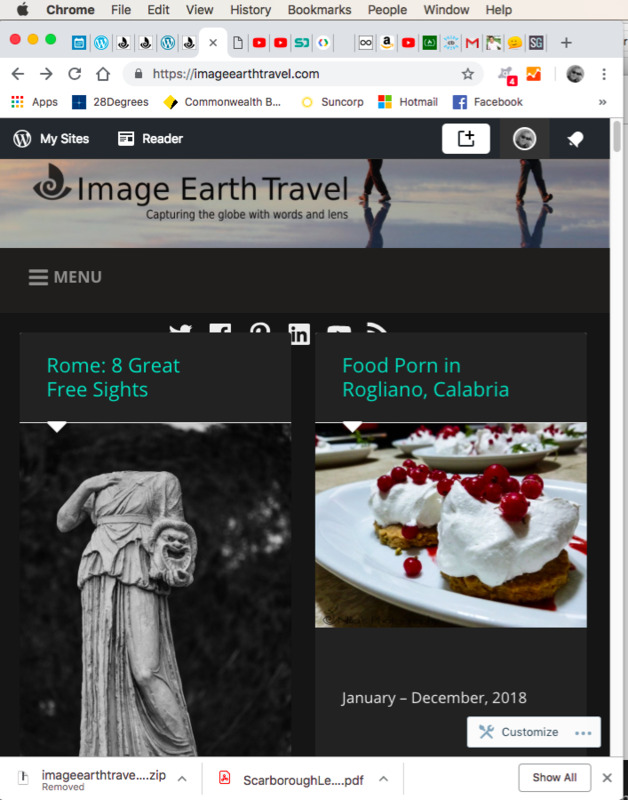 WP support have told me it will only be visible on the home page, and does not work for the other pages, however as it is an available format for any page, i would expect it to work. They have told me to pay someone to fix your template so that it does that, but as the work I am doing is charitable there is no budget for paid fixes. Could you look at this page and let me know if there is anything you can do to get the video to display? The three empty headings each have a video in the post and are formatted video. are u using wordpress.com business plan? Yes, business plan so I have access to CSS. I haven’t wrapped my head around child themes yet. Looks like I will need to use a plugin to create a child theme. I can look into how to do all that in the next few days. Do you have instructions for modifying the code in the child theme if I get that sorted out at this end? there is plugins to create child theme, but, to implement your changes it will need to add related template files (php files) in the child theme created. So if I create a child theme, I presume I can send it to you somehow. What is the best way to do that? Or can you give me the code and tell me where to put it? but.. i have not added the template files in the child theme yet as it seems i need to check your dashboard. Can’t remove “by Anders Noren”…. How do do that in CSS? Hey, I have been struggling to adjust the theme in a few areas… site is http://windowintorrd.apps-1and1.com/. I would love to reduce the menu bar to be thinner – currently showing in orange. Also, when I moved the theme off of wordpress.com I lost the social icons that appeared below the menu, is there a way to get those back (that original site that shows the social icons is https://windowtorrd.wordpress.com/). Your help is appreciated! I would like to have the background picture the be in the foreground, like a main picture on the site on the main page. In the site there should only be a picture and then the menu and top footer and buttom footer. I will pay you for your time. Hi Om, I appreciate your willingness to help, but somehow it’s working again. Hey hey, first of all thanks for your help!! I wanted to use the sidebar widget “Picture” but with the frames and everything inside the sidebar widget the picture gets pretty small. Is there a possibility to shrink the frame inside the sidebar widget to get its content bigger? would you mind to share me your site url where you used that sidebar widget? thanks for your reply. The site is: https://noller.no-ip.biz/wordpress3/ on the right side you can see the picture of that “palm tree garden” and it would be great to get that white frame around it smaller to display the picture bigger. would you mind to share me the page ur post URL where the caption is not working? My new URL is pollutionsolutions.info which is now .org (self-hosted). I am populating it from my .com URL notesonthevine.wordpress.com . Everything was fine at .com – I used my own picture so the credit issue was no longer a problem there, but then I decided to host the site, and changed the domain name. Now, neither Baskerville or Baskerville 2 will let me change the title font. I am considering creating an image with the name already on it, but I’m worried that after all that work, the title will show up anyway, and it will look like a double image. Will there be an updated version of Baskerville 2 for self-hosted WordPress sites soon… please? In the meantime, is there any way to change the title font? All my text in the gallery’s has gone from black to grey, how can this be and do you know if I can change it to black please? Could you please tell me How to reduce logo size or is there any option to adjust/drag the logo bit upper or lower from the default place? Thanks a lot 🙂 , I need one more help from you ; could you please help me to get an infinite scroll for a static page with the post excerpt blog display.I tried many plugins but they change my post display layouts when they load new posts . We are using your theme and have created a banner with the suggested dimensions, 1440X220. However, on the published site the image is stretched. Is there a workaround to fix this? Our site is blog.qwill.io. would you mind to check if the following code works or not? That worked! Thanks so much!! 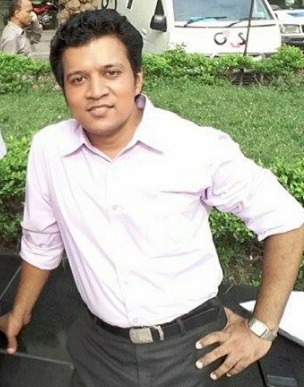 Hi Om – This worked in that the full banner (1440X221) is now showing on desktop, but the resolution is still low. Are you able to help with that issue? Appreciate the second code, but it added white padding to the top of the image without fixing the compression. I’m wondering if it’s an issue with WordPress itself compressing the image. Is there a way to move the header menu (on Baskerville 2) so that it appears above the image at the top of the page? The menu includes the search feature and I would like that to be at the very top of the page instead of between the image and the website content. OM Sir; Is there any way to change the effects of drop down menu bar in the mobile version? there is plugins for mobile menu. Thanks Sir ; but I have othe site where I use Baskerville 2 theme with wordpress.org , could you please say me how can I get mobile version drop menu bar in my site same as in apple.com’s mobile version site drop menu bar. Thanks Sir; If you don’t mind, Could you please write an article on ” let’s encrypt” which provides ” free ssl certificate ” especially for those site hosted under server that doesn’t provide ssh, cpanel ? Is there any way to make search results to display as a post excerpt rather than full post? Thanks, but I was not able to find the perfect card for that…. can you please help me out?! Could you please help me to get black transparent bar with option of download and share buttons on my each and every image post ? Is there any your articles on wordpress free theme of Photomania by WEN Themes ? do you know what causes this behavior and how to fix it? Hello from sunny Greece! You have done a great job with your site! I have one question: How can I change the color and the hover color of post title links? Thank you in advance. I read all questions and answers and you actually solved me 3 major issues with your answers above. You are a genius! I’m trying to fix the issue of the mobile drop down menu always being open. I tried the code you provided above regarding this issue by inserting it into CSS, but it did not work. Any insight into this? Would u mind to share me the code you used please? Hello – I tried the code you provided above. I have another issue with my website (edureach101.com). Can I request an order for you to help? now its dark grey on black. it should both be white. seems you already solved the issue…right? did you get my reply? can‘t see it above. so, what type of alignment issue you are facing for the middle column in footer? can you share me screenshot? hi om, in the footer area (contact, impressum etc) i would like to have the left column “align left”, the middle column “align center” and the right column “align right”. is that something you are asking? 4. header thickness truncates image in mobile device and tablet. ** I think you already have solved it right? ** same, i am not seeing it? 1.I already have that CSS for No. 1 in Customize, but it wasn’t working so thought I’d post the question here. 2. Yes in the nav menu, but the URL links aren’t working for some strange reason. I also created a separate social menu (not positioned correctly yet) as thought this may be easier to style inline with the nav menu if kept seperate. The links in the social menu icon work, but the links in my nav menu social icons don’t work although URLs, etc. are identical. sorry for the late response, was travelling..
*** Regarding issue 4, can u share me screenshot image of header thickness truncate issue of mobile device? Just created an actual social menu (you can see 2 menus now) so am playing around with positioning that on my header image as can’t position it inline with my nav menu. It displays where I want for Desktop, but of course, it’s hidden when displayed in mobile devices. The Header image in mobile/tablet devices is still truncated. for mobile and tablet header issue, would you mind to try the following codes please? Many thanks for the CSS, this now truncates the bottom. The social menu bar is hidden in an actual post when displayed on mobile device, but doesn’t display at all in a tablet. Could this because of this CSS? would you mind to check by increasing the height value for mobile and table view css code i provided please? The tablet displays ok, iPhone 5 displays OK, but my Samsung A7 still displays the image truncated. Strange as it displays correctly in the WP dashboard mobile preview. as the code is working for other mobile device..so..it should work in your Samsung A7 too. I did that but it didn’t make a difference. I’ll just have to play around with it or leave it as is. 2. The first posts on the home page show the excerpt only but if you scroll down a bit, the posts start showing the full text. would you mind to check if jetpack is installed and connected properly? Thanks for replying! It says it’s connected. in such case would you mind to communicate me in my fiverr profile please?